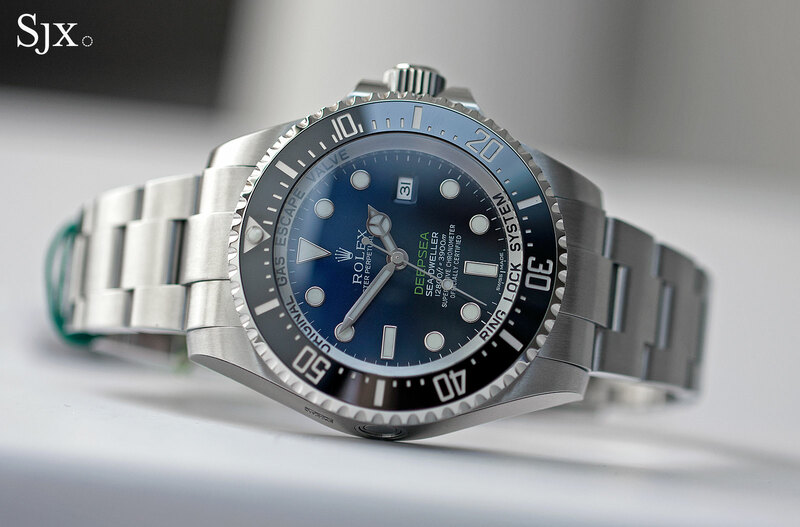 A look at the Rolex Deepsea D-Blue, along with an explanation of the patented case construction that enables it to withstand 3900 m of pressure. 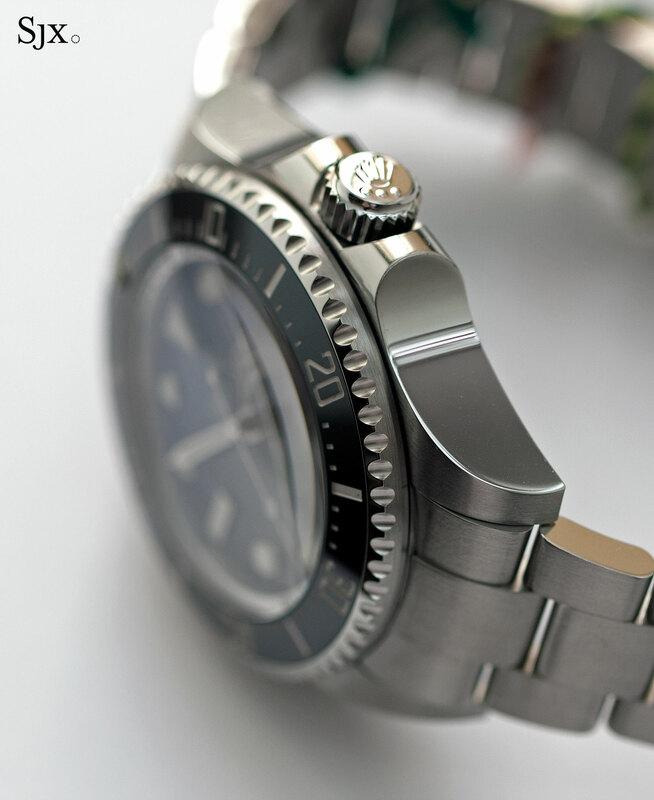 Rolex introduced the Deepsea D-Blue (ref. 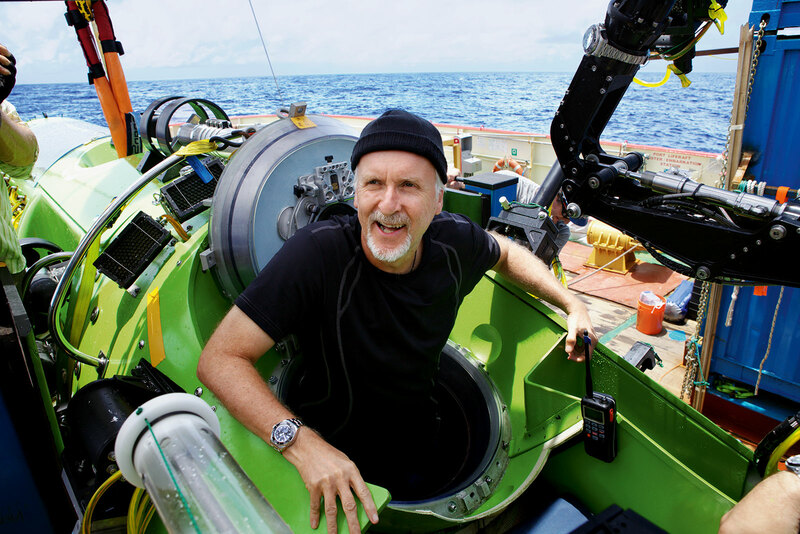 116660) two years ago to commemorate James Cameron’s record setting journey to the deepest point on Earth in 2012, when the filmmaker piloted the Deepsea Challenger submersible to the bottom of the Mariana Trench. 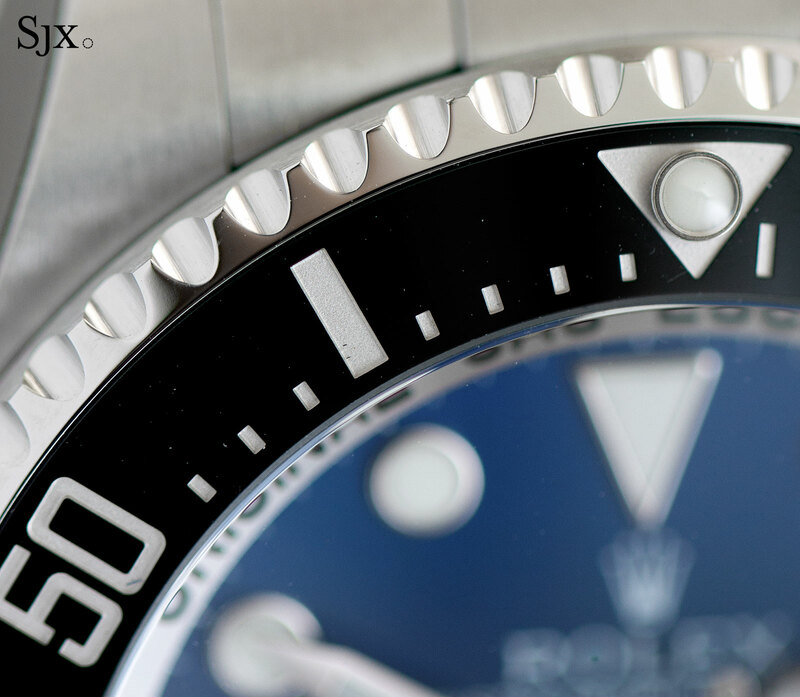 The graduated tones of the dial that go from blue to black are meant to evoke the deep sea. Like the creatures that lurk in the bottommost depths of the ocean, the Deepsea is a curious beast, a combination of brilliant engineering and impractical size. Like all modern Rolex watches, the Deepsea is a beautifully manufactured product, neither artisanal nor handmade, but the result of the efforts of numerous clever engineers and watchmakers who will forever remain anonymous. Its key feature is ingeniously simple but remarkably effective: the Ringlock System, constructed to withstand enormous pressure but without the case needing to be quite as big as it would be without the patented invention. The Deepsea is rated to 12,800 ft or 3900 m, three times as deep as Rolex’s classic saturation diver’s watch, the Sea-Dweller 4000, and much deeper than even a nuclear submarine can reach. While its prowess is entirely academic, the ingenious construction of the watch is tangible. 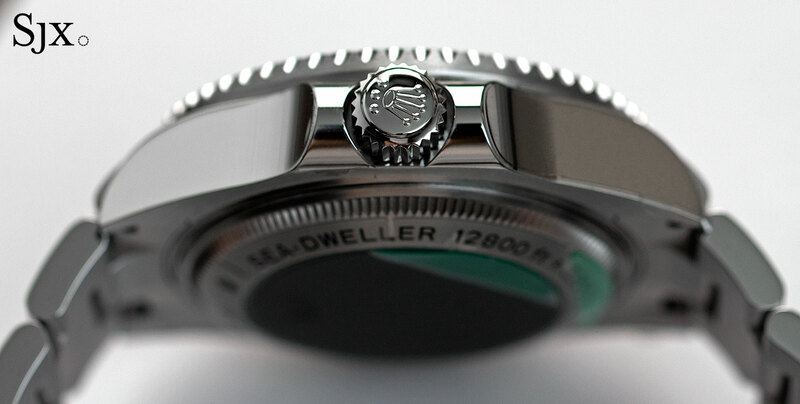 Though the Deepsea is a large watch, it is actually smaller than it would be without the Ringlock System. 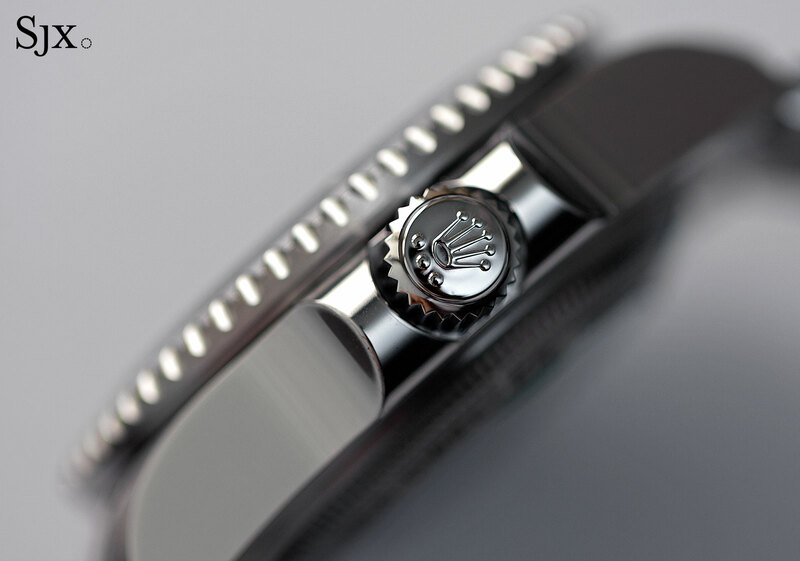 The Deepsea is just under 17.7 mm high, but achieving the same depth rating with conventional construction would require a case 19.7 mm thick according to Rolex’s experiments. Essentially a stainless steel inner ring inside the case, on which the crystal is mounted on the front, and a titanium case back on the rear, the Ringlock System is the subject of a 12 page long patent (available here in French for those so inclined) we explain here in distilled form. 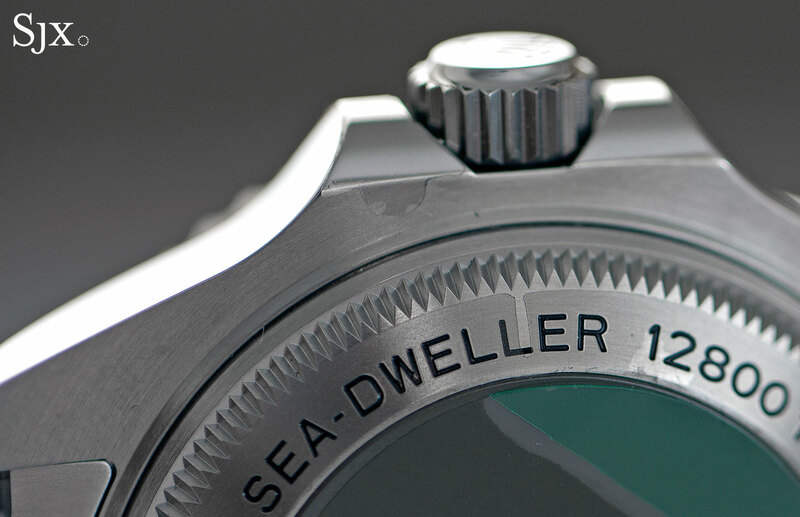 Visible in between the dial and bezel – helpfully engraved “RING LOCK SYSTEM” – the inner compression ring is made of BioDur 108, a nickel-free austenitic stainless alloy. Typically used in orthopaedic implants, BioDur 108 is alloyed with nitrogen, giving the alloy outstanding strength and toughness. BioDur 108 is able to withstand three times as much stress as 904L stainless steel, the alloy used for Rolex cases and bracelets. 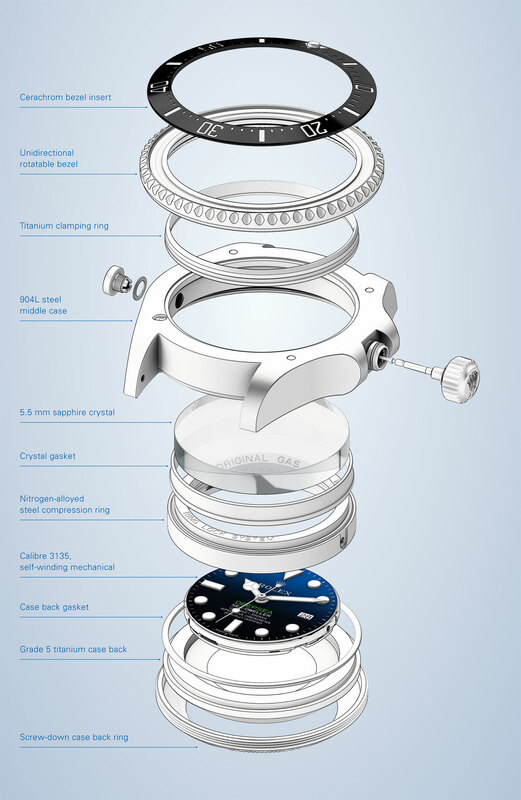 The purpose of this ring is to reduce the stress on the case (and so enabling it to be smaller) by diverting most of the pressure exerted on the watch from the crystal onto the extra-tough inner ring and the flexible titanium back. For that reason the case back is in two parts, an inner back made of TA6V titanium alloy that sits directly on the inner ring, that is secured by an outer donut-shaped back in steel. Titanium TA6V possesses strong resistance to fatigue, cracks and creep (materials speak for slow deformation under pressure). That enables the back to flex under stress. Being the component with the largest surface area, great force is exerted on the crystal at depth, explaining why it has to be 5.5 mm thick, as much as a dress watch. 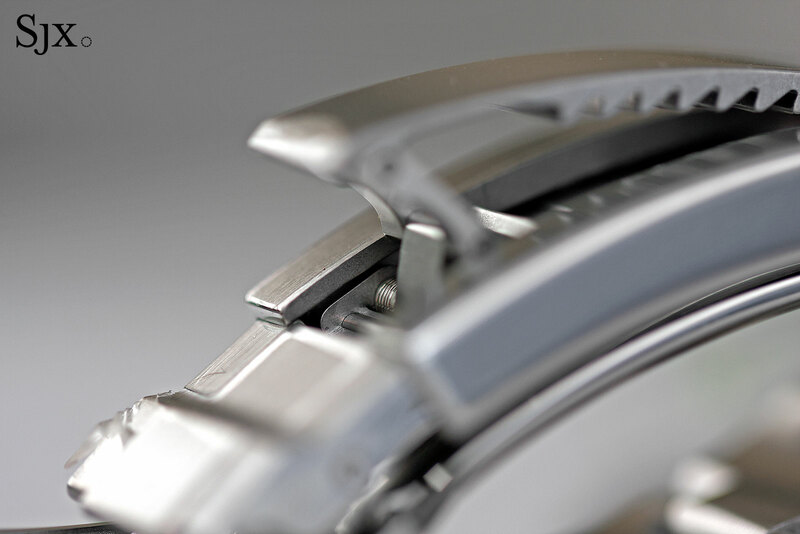 As the pressure on the watch increases, the sapphire crystal and titanium back are pressed against the inner ring, compressing the gaskets that seal them, improving the sealing of the watch. And because the stress on the case is minimal, it can be smaller than it would otherwise be if there was no Ringlock system inside. The darker colour of the titanium inner back is distinct from the steel ring around it. 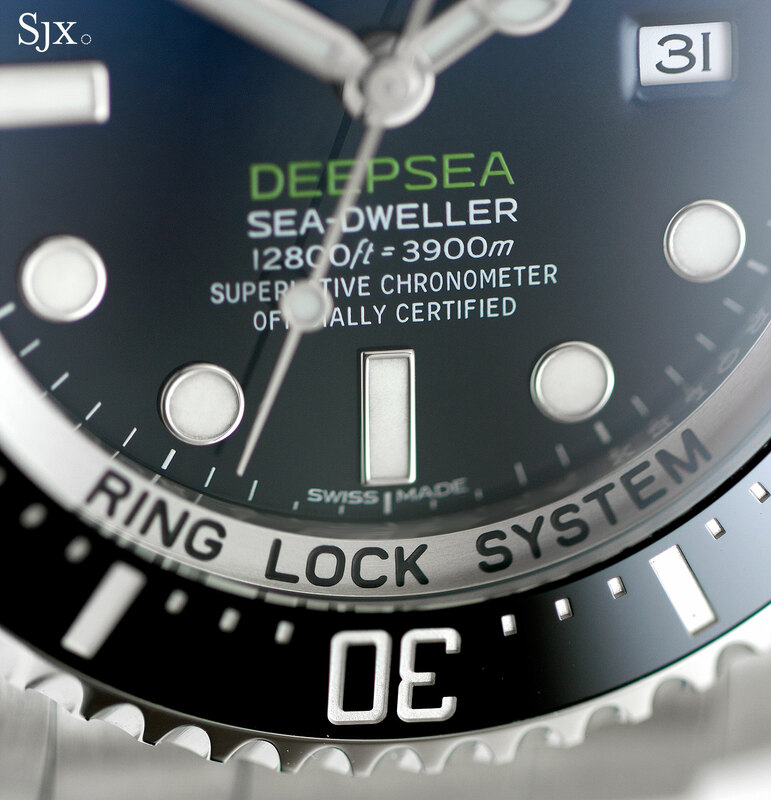 The sheer simplicity of the Ringlock System means it can be adapted to go even deeper, which is exactly what Rolex did with the experimental Deepsea Challenge watch that accompanied James Cameron’s expedition in 2012. The Deepsea Challenge is essentially a scaled up – way, way up – version of the civilian Deepsea, a comically large watch measuring 51.4 mm wide and 28.5 mm high. Without the Ringlock System, the experimental Deepsea would have been even more massive. 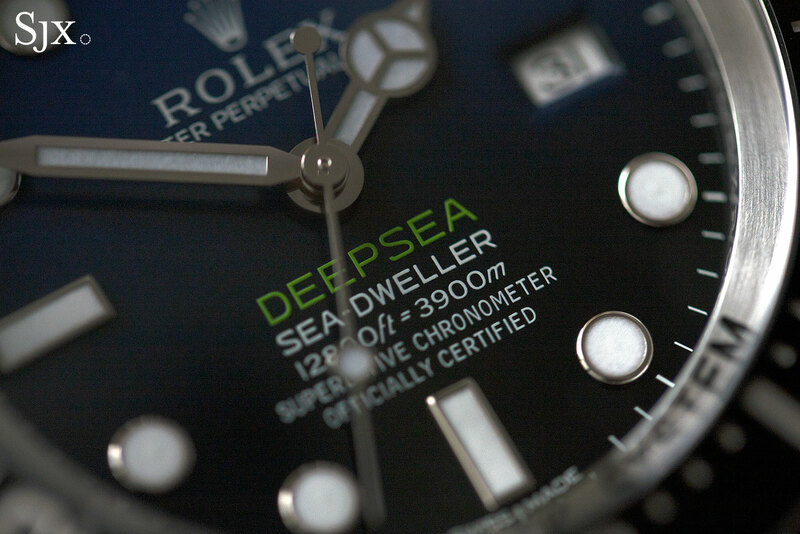 Its ridiculous size notwithstanding, the Deepsea Challenge is a landmark in dive watches. Rolex made six of these experimental watches and strapped one onto the robot arm attached to the hull of the Deepsea Challenger submersible (Seiko performed a similar test with its commercially available dive watches last year) that Cameron piloted to the deepest spot on Earth, Challenger Deep in the Mariana Trench. 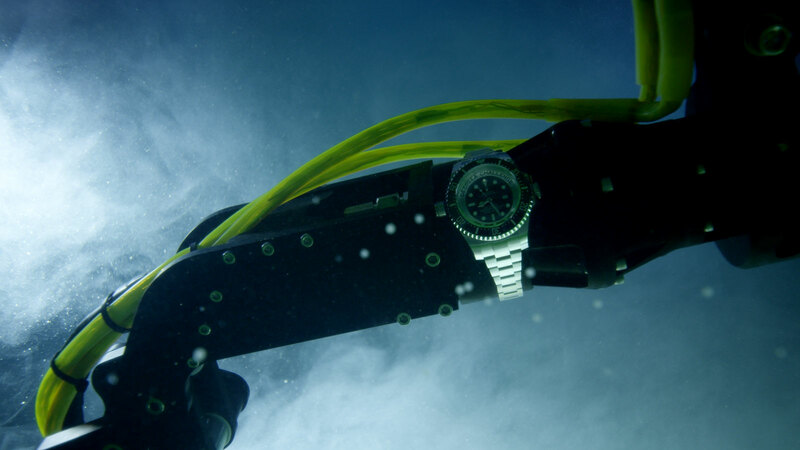 Tested in a laboratory to 12,000 m or 39,370 ft, the Deepsea Challenge lived up to expectations in the real world, functioning perfectly throughout the dive. When the submersible reached the bottom of the Mariana Trench, a depth of 10,908 m or 35,787 ft, it set the record for the deepest dive ever for a wristwatch, while Cameron became the first person to explore the Mariana Trench solo. 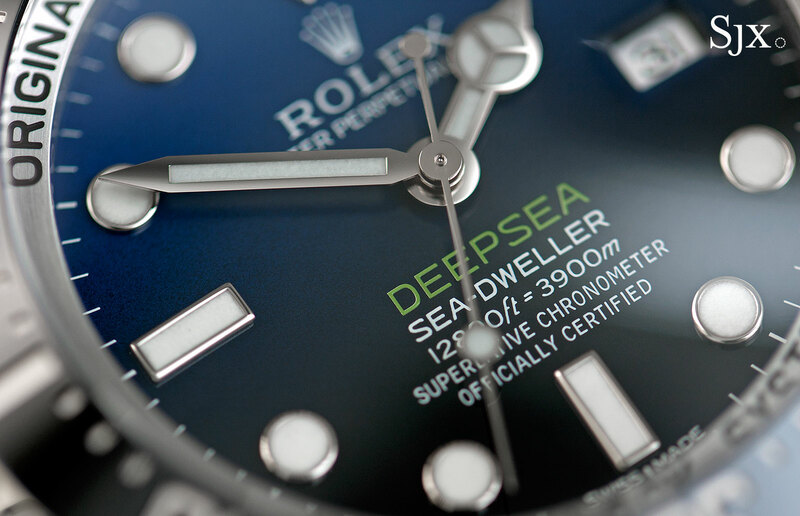 The Deepsea D-Blue (ref. 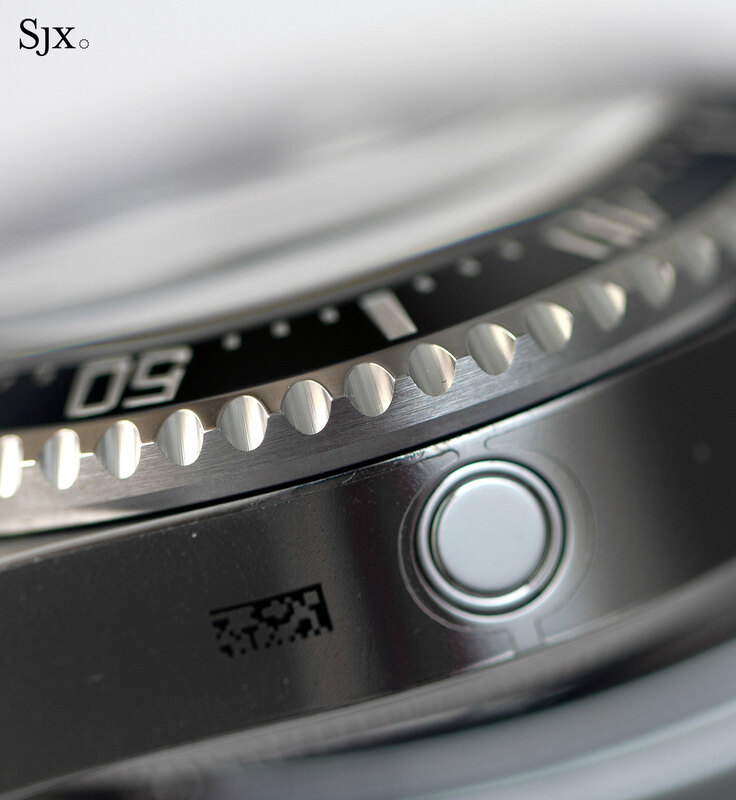 116660-0003) was introduced in 2014 as “special edition” of the ordinary black-dial Deepsea (ref. 116660-0001), intended to commemorate the success of the Deepsea Challenge expedition. Identical to the regular Deepsea in every way save for the dial, the D-Blue has a graduated blue dial that starts as dark blue at 12 o’clock and gradually fades to black at six o’clock, colours that are meant to recall the deepest ocean. And while the ordinary Deepsea has its eponymous model name at 12 o’clock, on the D-Blue “Deepsea” is in bright green, the same shade as the hull of James Cameron’s submersible, situated prominently amidst the darkness of the depths at six o’clock. 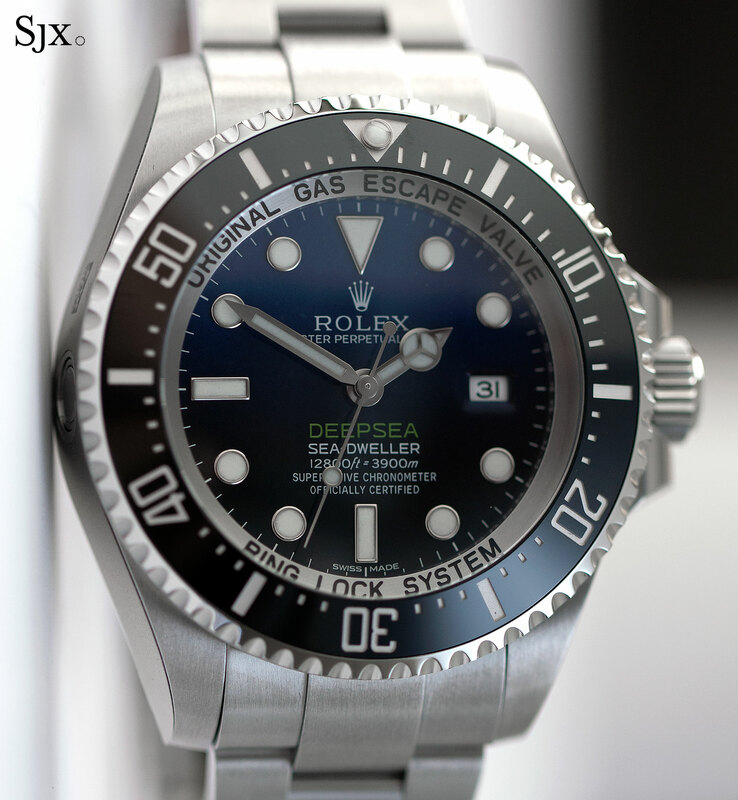 While the idea of a graduated blue dial that evokes deep sea diving sounds cheesy, the Deepsea D-Blue is the only modern Rolex sports watch desirable enough to result in a waiting list at retailers (though it will soon be joined by the recently launched steel Daytona with a ceramic bezel). Initially jarring to one used to black or “tropical” dials, the Deepsea D-Blue is quirky and unconventional. 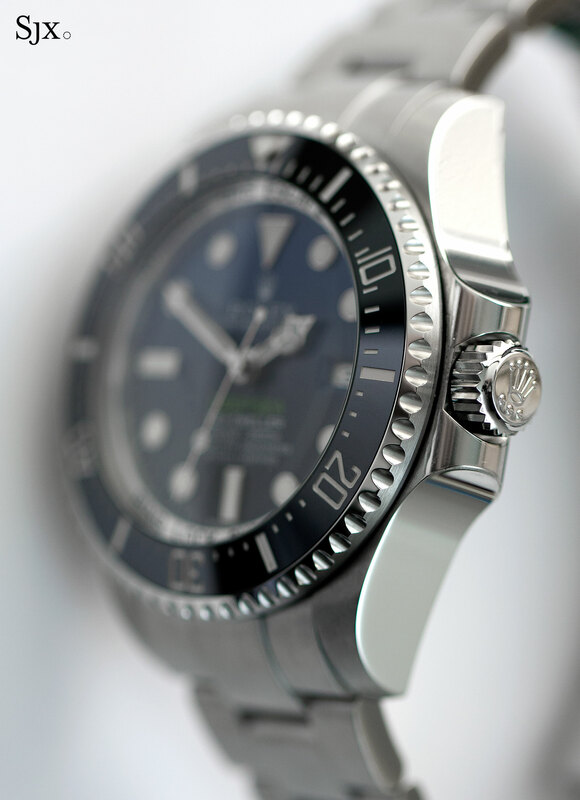 In a sea of black-dial dive watches, it stands out, one of the reasons for its appeal. 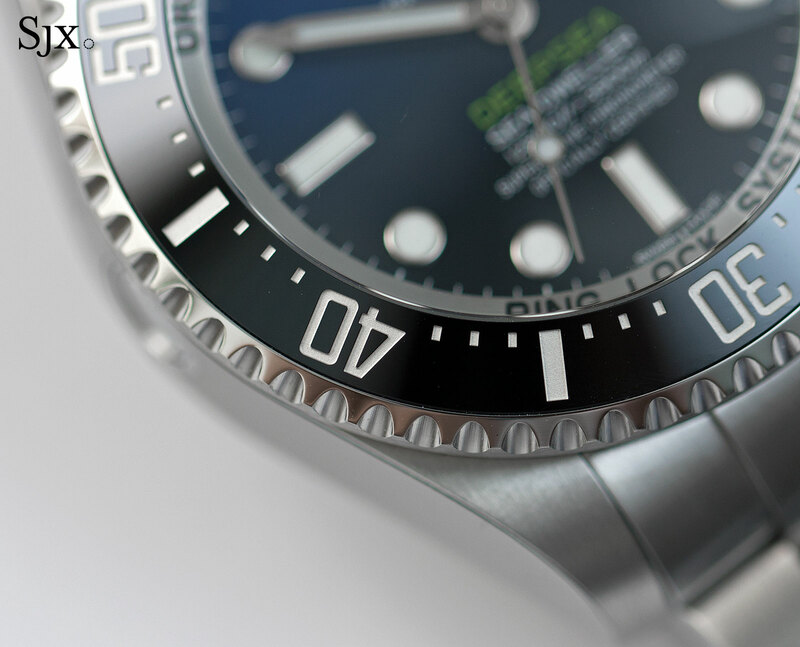 The rest of the watch is exactly the same as the ordinary Deepsea, and like other modern Rolex watches it reveals impressive quality up close. Everything is neatly machined and carefully sculpted, so pristine as to hint at the complete absence of human finishing. Take for instance the bezel: sharply engraved and then filled with platinum plating, the markings on the bezel are remarkably precise, something that is echoed on the notches on its edge. Even the bracelet is masterful, from the ratcheting Glidelock extension to the the tiny spring of the Oysterlock spring-loaded clasp. Everything about the watch indicates it is the product of whoppingly expensive machines run by exceedingly smart people – and this is exactly how a watch built to survive at 3900 m should feel like. Fit for the oceans but the wrist? For all its remarkable engineering and irresistible machining, the Deepsea is a large watch, perhaps too large for land use, but definitely poorly proportioned. Being identical the D-Blue and ordinary Deepsea both suffer from being top heavy, especially in comparison to the bracelet that tapers to the narrow clasp. 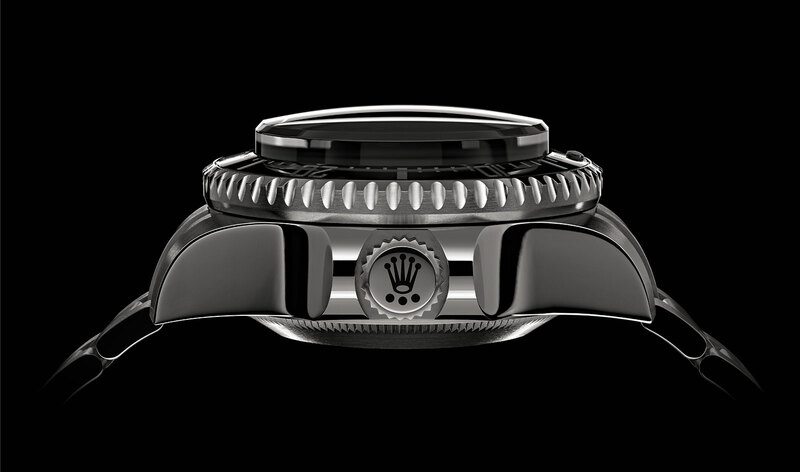 The case is a chunky 44 mm in diameter, and thick as well, but the bracelet is 21 mm wide at the lugs, before tapering to the same clasp size as a 40 mm Submariner. The Deepsea is much like the Mercedes-Benz G63 AMG 6×6 – it’s formidable but cool, a convincing answer to a question that doesn’t need answering – what to wear at 3900 m.
The Deepsea D-Blue (ref. 116660-0003) retails for US$12,350 while the Deepsea in black is US$12,050 (ref. 116660-0001). Edit April 12, 2016: Added additional details on the principles behind the Ringlock System. 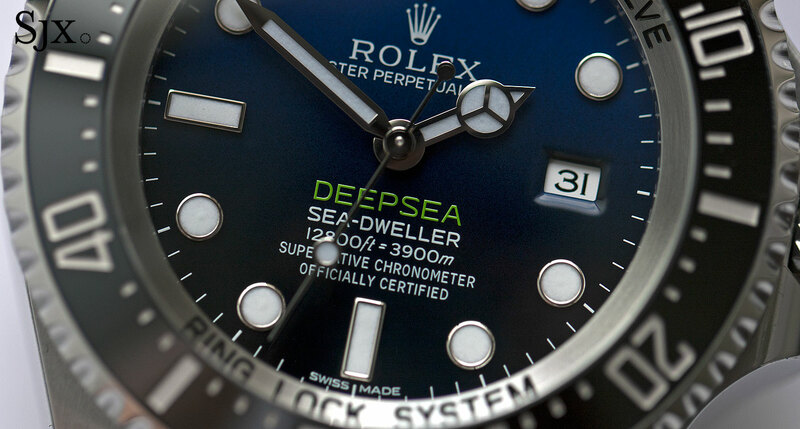 To commemorate its partnership with James Cameron's expedition to the Marianas Trench, Rolex has unveiled the Deepsea D-Blue wristwatch with a new graduated blue to black dial - all else about the watch remains the same. Rolex has just unveiled the Deepsea Challenge, an experimental wristwatch that will accompany James Cameron's expedition to the deepest place on Earth.